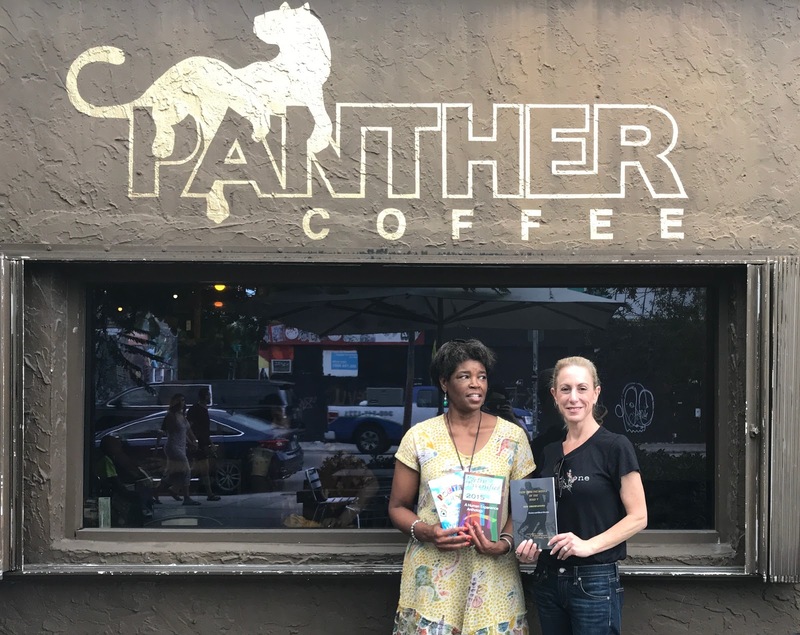 Lucinda Clark, the founder of the Poetry Matters Project, visited the Miami Book Fair at Miami-Dade College this past week. Ms. Clark visited the Wynwood Campus of Miami Arts Charter School where she met with Helena Berdote, the public relations person for both the Wynwood and Homestead campuses. She learned much about the changes going on in both schools and saw the broad range of talent in all areas of the arts on display. Clark had a chance to meet with Jen Kartnick, former creative writing director, world famous poet, and food and travel blogger. The two worked together for many years before they met this year. 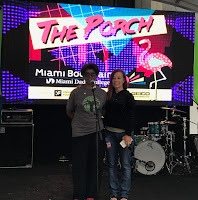 A second opportunity for Clark to see the incredible writing spoken word talent of the students presented itself at The Porch, a community stage at Miami Book Fair. The poetry was shared by teen writers, including poets from Miami Arts Charter middle and high school. 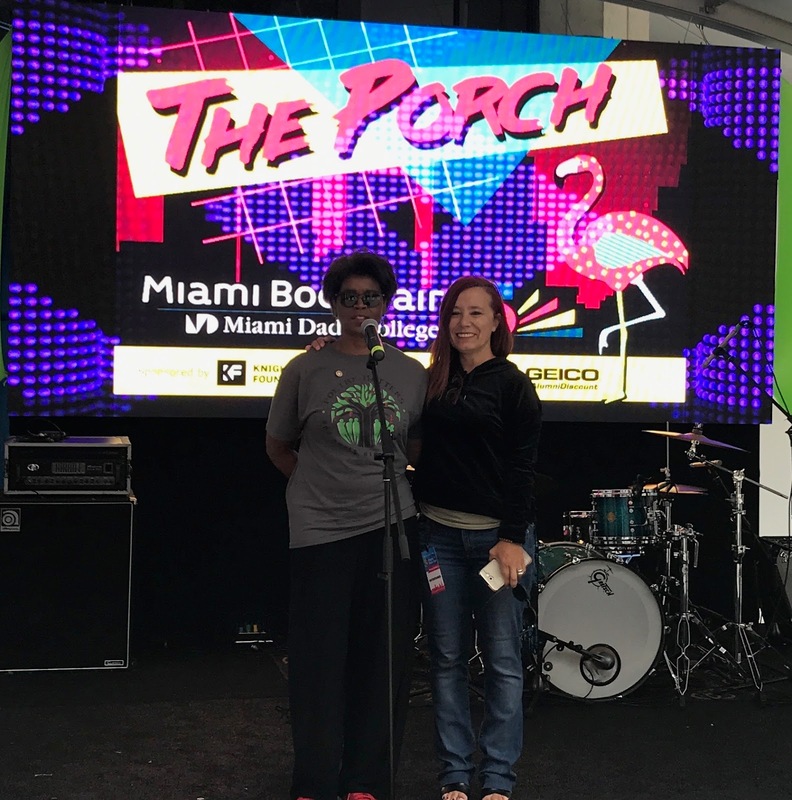 The students of Miami Arts Charter have been taking top prizes in the middle and high school category for several years now. Jen Karnick passed the baton to a new group of creative arts writers who stand ready to continue the tradition of excellence that has become a trademark of the school.